Yeah, I'm definitely going to be starting all these types of posts with questioning how quick the last month has flown by. But seriously it's gone way to fast that I feel like I've accomplished nothing during July, so let's hope more happens during August because there is so much I want to do before going back to university in Septemeber. Anyway back on to today's post. 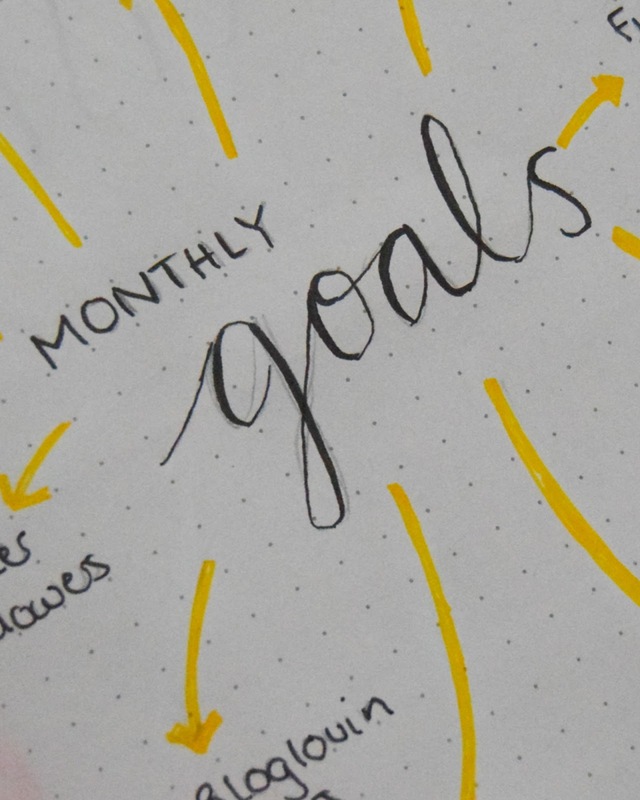 You all seem to be loving these bullet journal blog posts I've been putting up each month, and honestly, that is one thing that has kept me motivated to keep the bullet journal going so I have all of you to thank for that. 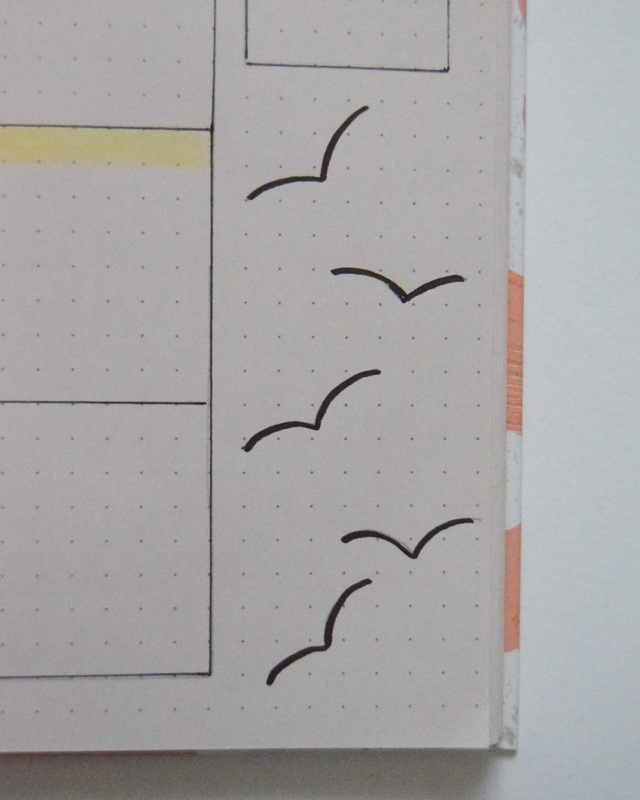 I still feel like there is more that I could put in my bullet journal but at the moment since I don't have much going on it's not needed. 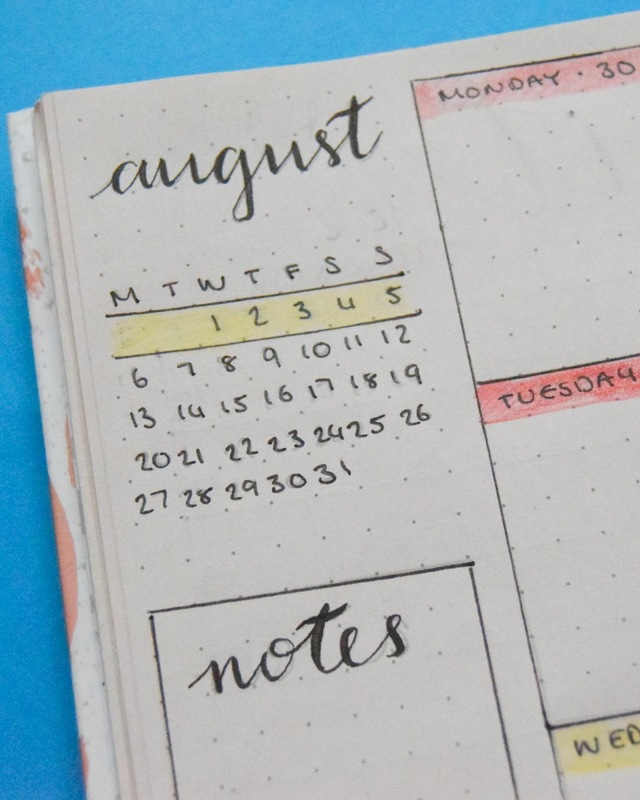 Meaning that quite a lot of the pages are the same from last months July Bullet Journal Spread but nonetheless I shall post them again since the theme for August is different. 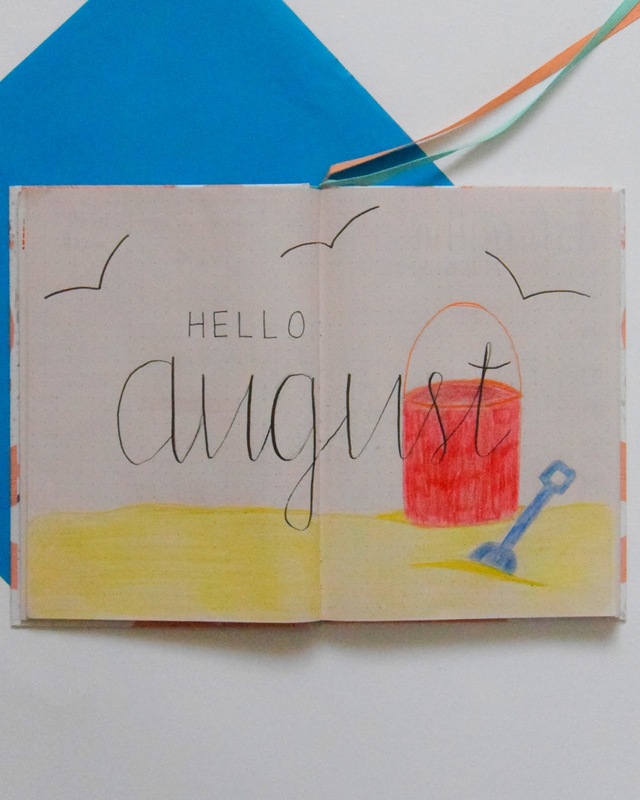 I did love last months watermelon theme but alas a new month means a new theme so this month I've gone with a beach sort of theme. Despite not having been to the beach yet this summer it seemed to fit pretty well with what I picture August to be. 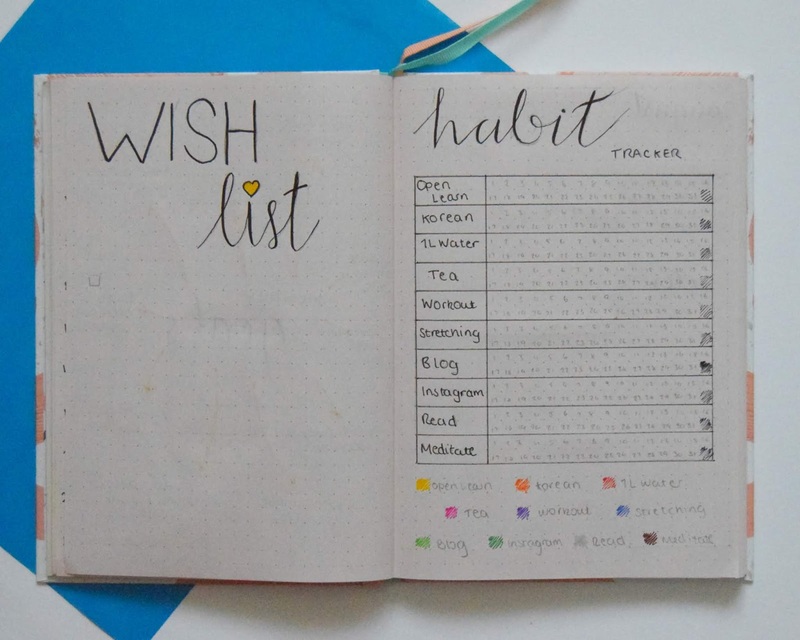 Apart from the title page and the habit tracker that I had in last months bullet journal spread this month instead of the workout challenge and calendar I've included a blog calendar and a wish list. 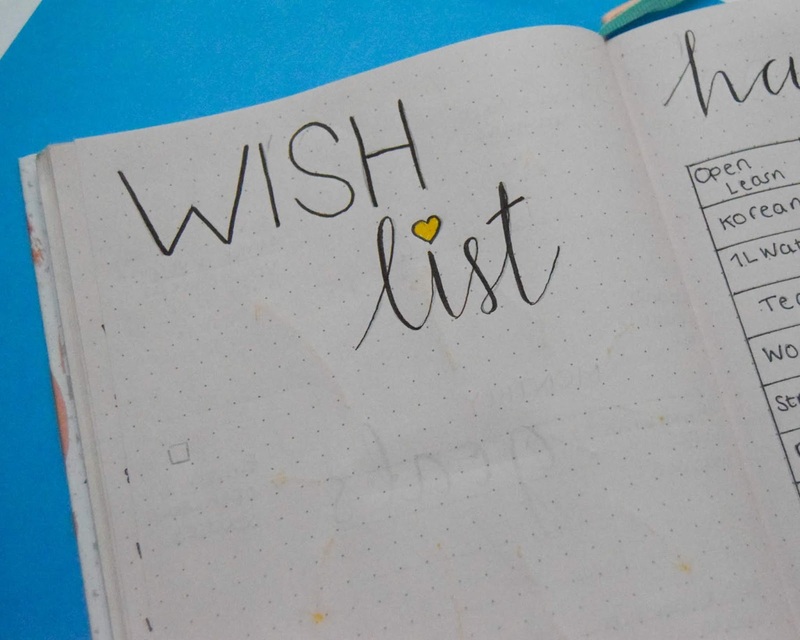 Though the wish list is probably more suited to December and Christmas I've got a few things that I would like to pick up for university so I thought it would be put to good use. 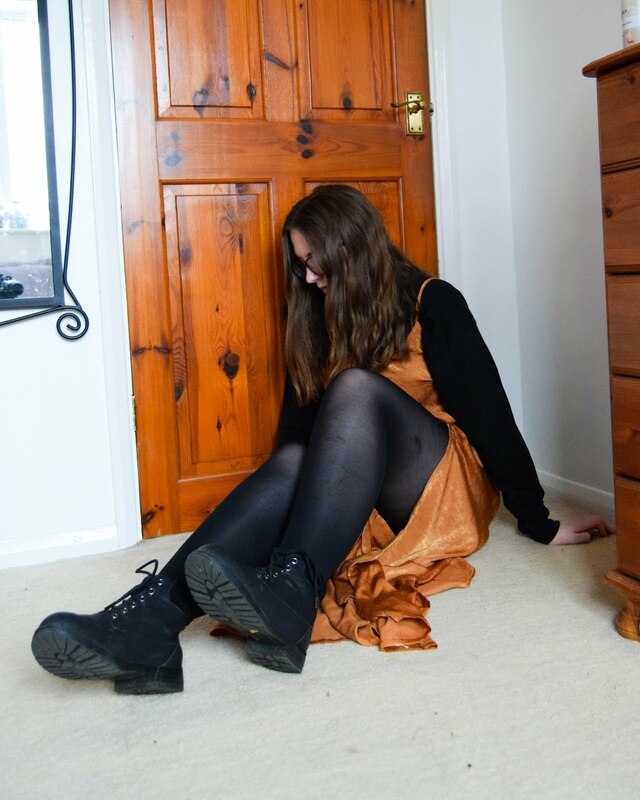 I'm also trying to become more organised with blogging, and though I do like blogging whatever I feel like, it might be helpful to have a few ideas down for when I hit a blogging wall. So that's it for this month bullet journal spread feature. 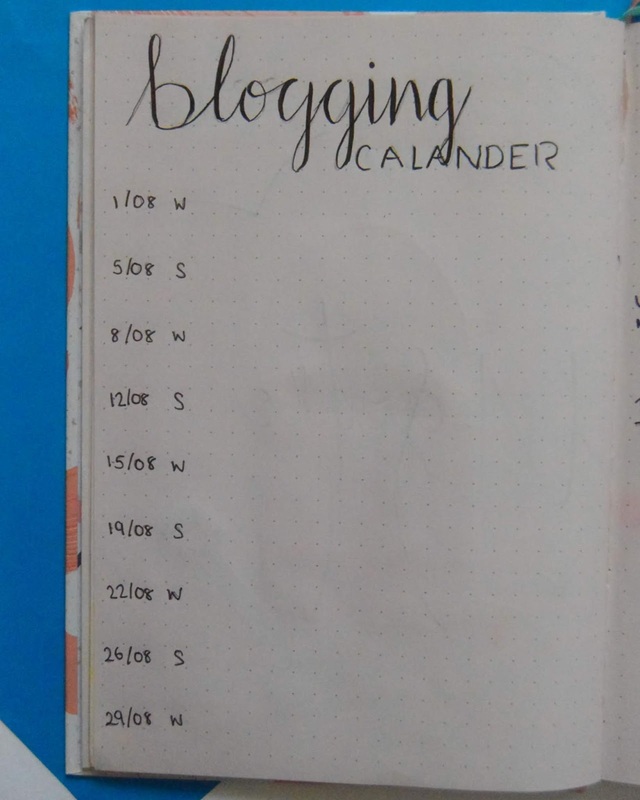 Would you like any other bullet journal blog posts asides from the monthly spread, let me know in the comments if you do.